Olegaclockman47 has not created any collections yet. What are collections? 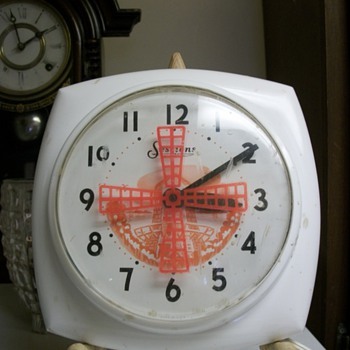 I am a retired avid clock collector. If it ticks, strikes, chimes, or talks, I'm interested. 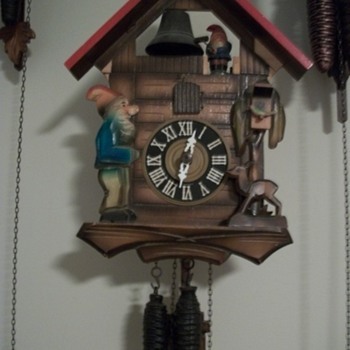 I especially enjoy my cuckoo clocks. 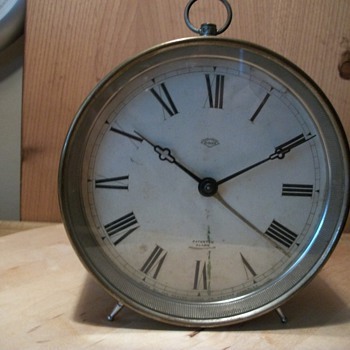 Thank you timeless5 , all i know about this time piece is it's marked cornwall classics. Thank you Bruce99 sorry it's been a year. i was just getting to know show and tell site. Thanks Bruce99, I picked up this one at goodwill for seven dollars about 2 yrs. ago. Timeless5 it's called aparment is my space and small. thanks for your comment. Nice clock Misty hope you find the weights to it. I know thet are not cheap. most cuckoo clocks i find the weights are misplaced or the pendulum. 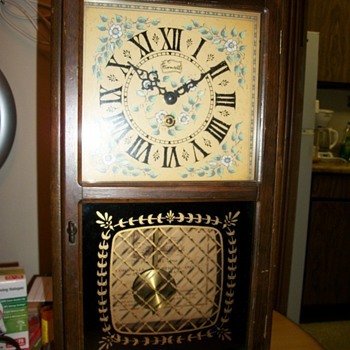 Thank you Bratjdd, I dont have any room for more grandmother and grandfather clocks I know they were atleast three i had to just look them over and oh well. Thank youTimeless5, I do have clocks that are not postedyet. send to france? well lets see what bruce99 knows about this one. I thought a good clock repair shop could do the repairs it would need. Hey timless5 you and i dont live in the same neighborhood do we? if so we will have to have a game called lets see who gets there first. l.o.l. 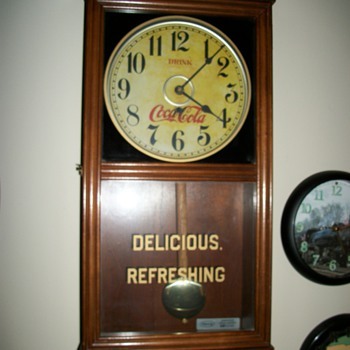 love all your clocks. good luck with your project. Bruce99 will be a lot of help later. you are right Bruce99 its a nice statuette. would like to see a nice movement in place. 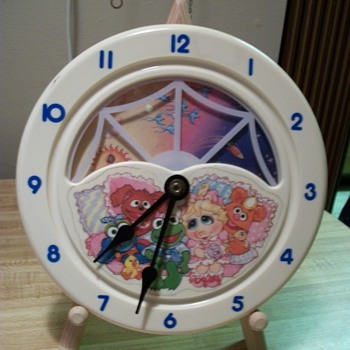 This would be called a clock case. 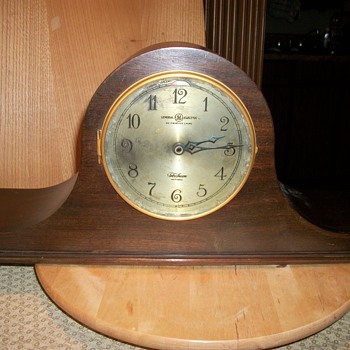 looks as if had a electric or quartz movement at one time. Thanks Bruce99, glad to have brought memories back to times that we like to remember. Thanks for your comment. i think i know where that pedal car just might be buried. 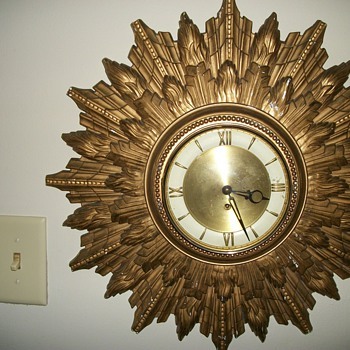 That's a nice clock but i would think twice before i sent it off for repair. you should find a repair shop near you for repair. maybe bruce99 will give you more advice. he is on here often. 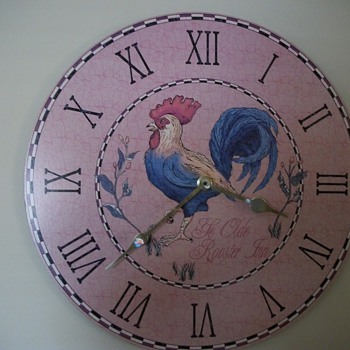 that's a nice clock ashamed the hands are broken. but you can replace them. 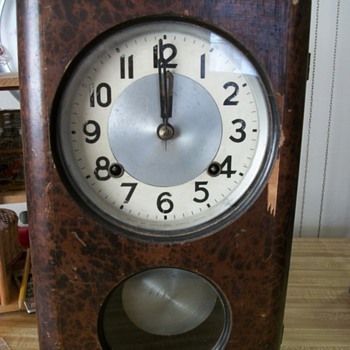 timesavers clock company or merritt's the might have what you need. 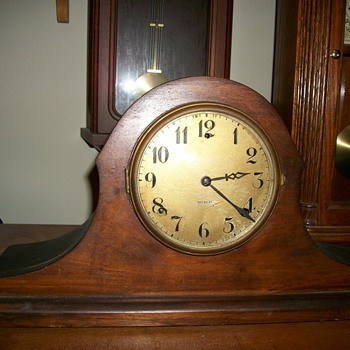 Thank you for checking my clocks out officialfuel yardsalemama ashleycheri and guyfrmatl.